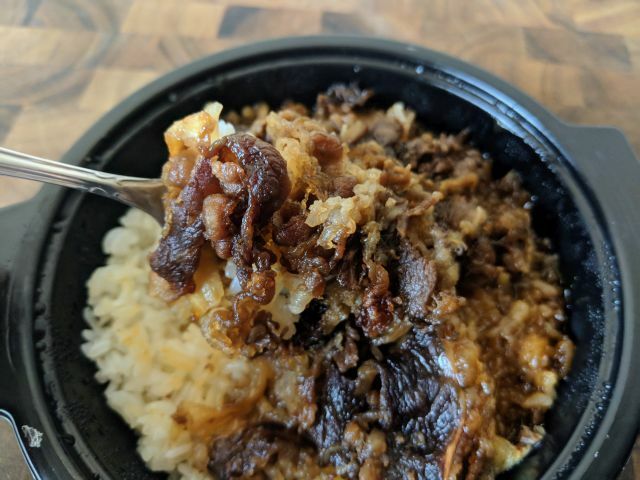 Ajinomoto's Gyudon features beef with onions over a bed of sticky rice. A 11.29-oz bowl was $3 on sale (normally $4.49). 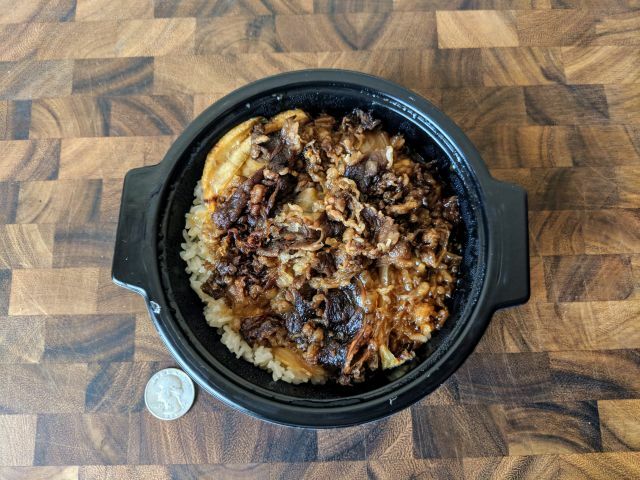 A gyudon is literally a beef bowl (like the kind that Yoshinoya is known for). The beef is typically simmered in a lightly-sweetened, savory sauce. Compared to Yoshinoya and other beef bowls I've tried, Ajinomoto's version comes with beef that offers a richer, sweeter, and more intense flavor due to the sauce. It's also fairly thick and clung onto the beef and rice well. The beef was mostly tender with a few crispy edges that seemed to have come from the sauce caramelizing in the microwave as well as the thinner sections of the meat crisping. The onions were soft but with just a slight watery crunch to it as well as a sweet note of caramel. The rice turned out excellently. It was slightly sticky with moist, firm grains that were still cooked though. 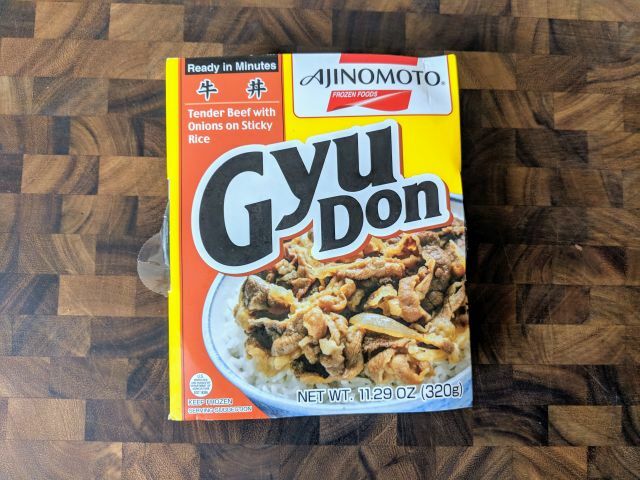 While the flavor and textures of Ajinomoto's Gyudon is very similar to their Yakiniku Don, it was still really satisfying, especially the rice which was nicer than I've had at some restaurants.